It’s great living in Hyde Square apartments in Bellevue WA during the Halloween season. The Bellevue community loves decorating their homes and shops and making it a great city to live in if you’re looking to trick-or-treat, have fun at Halloween events, or have a scary good time in your own neighborhood. Believe it or not, there are many wonderful things to do in Bellevue and the surrounding area for Halloween. In fact, there’s so much going on that it’s hard to keep track of it all, which is why we’ve decided to put together a brief guide regarding all things hollowing in the community. So if you’re looking for a fun Halloween event to go to, or you just need a place to find a good costume, we’ll definitely have you covered. 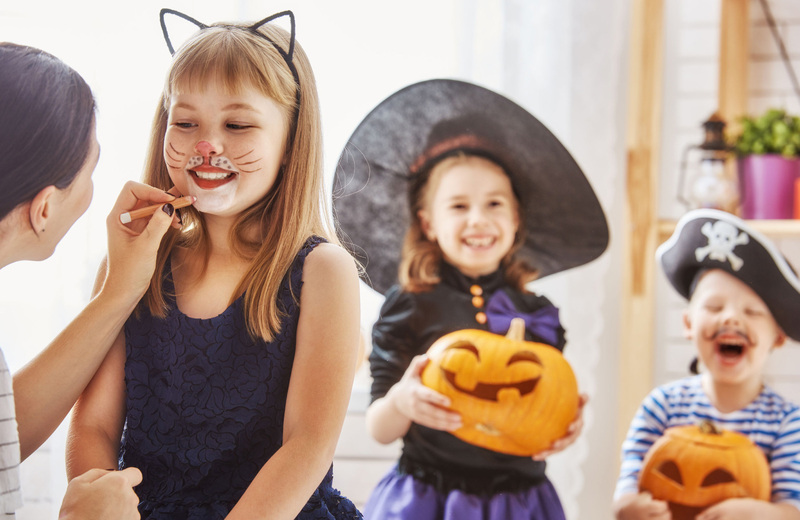 So if you’d like to learn more about Halloween parties and special events and other exciting things for the kids, we recommend sticking around to discover the information you’re after. Most of us realize that Halloween is extra special because it’s so much fun for the kids in our community. They have a chance to get dressed up in fun Halloween costumes of their favorite cartoon characters and superheroes, or they can dress up as scary witches, vampires, werewolves, and other spooktacular creatures of the night. So it only makes sense that there would be plenty of fun, scary, and ultimately enjoyable events for the kids to go to during this exciting season. So we’re going to share some of our favorite Halloween thememed events for kids to go to this year. The Fall Pumpkin Harvest Festival on Remington Farms is one of the better attractions in Bellevue. Remington Farms is located at 32610 NE 32nd St. in Carnation. This is all part of the fun and it really is very exciting for the young children as well as teenagers and adults. For starters, the farm is turned into a traditional theme park, except everything is covered in orange to represent Halloween. In fact, the rides are amazing and there are so many great things to do that you’ll want to come back over and over again over the month of October. In fact, the festival opens on September 29, 2018 and the last day of the festival is October 28, 2018, which is nearly a month away. The doors open at 10 AM every Saturday and Sunday and closes at 6 PM, so each weekend provides an opportunity to have 16 hours a fun as you get into the Halloween spirit. The price is $14-$16 per ticket and it’s for children of all ages, families, teenagers, adults, and anyone else interested in having a great time celebrating Halloween and the beautiful Fall Pumpkin Harvest Festival. This year, they are bringing back the Fall Corn Mazes, flying pumpkins, a mini Ferris wheel, a mini horse carousel, and a steam train as well as pony rides and other exciting rides and games. So get ready to have some fun this fall and remember to invite all of your friends, family members, and neighbors because we’re all going to have a rollicking good time. This year, the Bellevue Halloween Spook Fest is being held on Saturday, October 27, 2018 from 10 AM to 7:30 PM at the South Bellevue Community Center. It’s a fun community event for the kids and the whole family. This howling Halloween celebration has so many great activities like the great pumpkin race, carnival games, a marketplace to buy festive goods, treats, arts and crafts, and so much more. You can enjoy carnival entertainment like a magical ventriloquist, food and entertainment for everyone, and they are even going to play the movie Hotel Transylvania on a 17 foot inflatable screen. So everybody should come because it’s going to be a fantastic time. As mentioned, there are definitely going to be many great things for the kids to do. But adults also want to have fun on Halloween as well, and we would like to share some events and costume parties that adults might enjoy, so that’s what we’ll do. Located at the Meydenbauer Center in downtown Bellevue at 11100 NE 6th Street, this spectacular is going to be the biggest and most exciting event they’ve ever held. In fact, they’ve doubled the space because there’s going to be so many great things for sale and so many exciting things to do. Plus, the proceeds of this ball will support Purrfect Pals, an organization in the community that supports kittens and cats. They are hoping to end cat homelessness and your purchases can certainly help make this possible. As you can tell, Suite Lounge does not mess around and they take Halloween very seriously. This party is for adults 21 years of age or older looking to have an awesome time this Halloween season. The event is on October 27, 2018 from 8 PM to 1 PM and admission is between $10 and $20, depending on when you show up.